The San Diego Padres have a team on the rise and yes there is even talk of October baseball in America’s Finest City. It will not be easy though. Here is a look at the path the Padres must take in order to propel themselves to the next level. Can a team that went 66-96 in 2018 make a push to play meaningful baseball in October? Sounds unlikely to the most ardent fans, but rest assured, there is a way the San Diego Padres could make that happen this coming season. 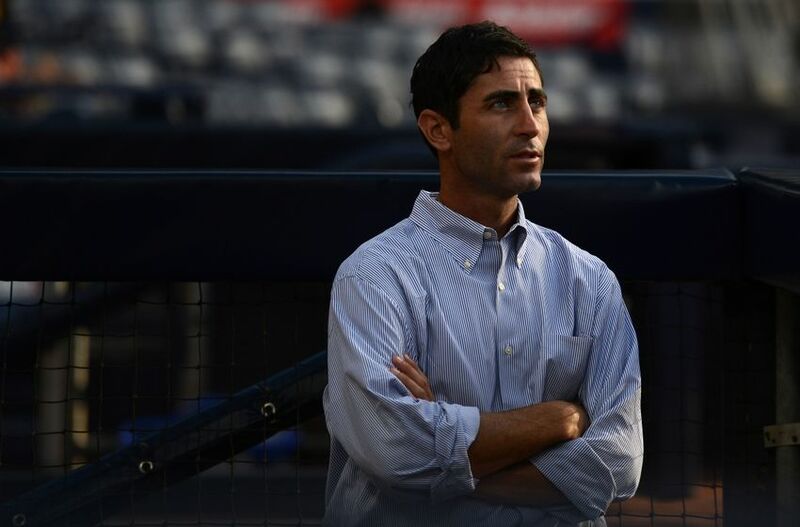 The Padres have a unique opportunity to lay the course for success for many years to come. This opportunity wasn’t supposed to happen until 2020, but I’m telling you, as we stare at the 2019 season — it can happen this year. The hot lava talent is here and it’s ready to flow into Petco Park. Tell your friends, tell your enemies, tell anybody that will listen. The Padres have a correct mix of free agents, emerging young stars and ready-for-action prospects. Not to mention a general manager who’s ready to win. Getting there won’t be easy, but then again, reaching the postseason never is. However, this team is different and they are ready for the challenge. Well, it’s not impossible and they’ll need plenty of good fortune to see this through, but there is certain path to the postseason. The Minnesota Twins made the playoffs in 2017, finishing with a record of 85-77. That was a remarkable feat, considering they finished 2016 with an unsightly 59- 103 mark. The 2007 Chicago Cubs were playoff participants after producing a lousy 66-96 record in 2006. The 2008 Tampa Bay Rays, who went on to the World Series only to lose to the Phillies, put up a 66-96 record in 2007. Those are just a few of the more recent examples from seasons past. There will be more teams in the future that will pull this feat off and it shows that it absolutely can be done. The Padres have the talent, and more importantly, the currency, via the best farm system in baseball, to make the necessary moves in July should they find themselves in contention. The aim of this article is to look at a few scenarios that need to go right for the Padres to return to the postseason and conjure up some October magic. We will stay away from the obvious Fernando Tatis and Eric Hosmer narratives. Most would agree that one has to play beyond his rookie status, while the other needs to elevate the ball and produce some return on the $144 milliom investment the Padres made before 2018. Beyond that, there are many factors that need to work in concert for the Padres to reach the postseason for the first time since 2006. Perhaps, the most important is pitching. Both the starters and the bullpen must exceed their projections for this mission to become a success. With the talent they’ve assembled and with a little good fortune, the San Diego arms can perform at a high level. Also, the catching situation must work itself out to where the right mix of Austin Hedges and Francisco Mejia seamlessly transition from one arm to the next. Last, but certainly not least, the offense must provide enough of a punch to stay reasonably competitive. The 2018 version of the Padres finished with a -150 run differential, which obviously is not what you want. He’s the likely opening day starter unless Chris Paddack breaks camp with the Padres, which would infer that divine intervention had taken place. So let’s go with the idea Lucchesi is the guy. For Lucchesi, and the Padres to make a run at October glory, he’ll need to rely more on “stuff” rather than deception in 2019. His arm slot helped him post a 3.23 ERA & 1.23 WHIP over the first nine starts last season before a trip to the IL derailed the fun. Upon his return, teams were able to put together more complete scouting reports on the rookie left-hander, which led to a 4.88 ERA after the All-Star break. His command issues were the major flaw, as his .339 wOBA vs right-handers and 1.6 HR/9 would suggest. The home run issue needs to be corrected pronto. He allowed 23 bombs in 130 innings, or, if you want to make it even uglier, one of every five flyballs he allowed became a home run. When you’re working with a fastball that averages 90.4 MPH, missing your spot can be fatal. Lucchesi throws four pitches, three of them qualify as above average. This home run parade just shouldn’t be a thing. Fixing the command issue would go a long way towards a successful 2019 campaign, especially when you consider that Lucchesi recorded 79 of his 145 (55 percent) strikeouts last season with his changeup. That was the fourth highest amongst starters with at least 80 innings pitched. The league average is 13.1 percent, according to Inside Edge. 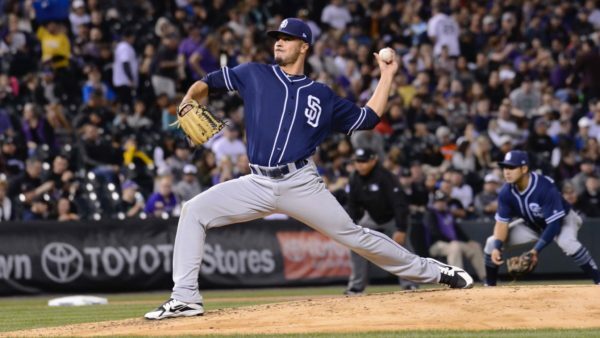 Lucchesi’s unique curveball is also a work in progress, but he had moderate success with it in 2018. His grip, which resembles that of a changeup, makes the ball move more like a slider, which gave hitters fits, especially lefties, and produced an xFIP of 2.07, which beat the league average (2.58). So the potential is there for Luchessi to lead this staff until reinforcements are called in. He’s proven himself to be an extremely capable bullpen piece. Now, he must make the transition to the starting rotation. If he’s able to pull off said task, Strahm has the talent and repertoire to be a factor in the Padres push for October. In his first taste of West Coast life in 2018, Strahm posted a 2.05 ERA in 61.1 innings. A major part of his success stems from his ability to throw four pitches, each of which registered a usage rate of at least 12 percent. That alone warrants a shot at transitioning to a starter role. Relievers that offer a four-pitch mix are a rarity in today’s game and Strahm’s ability to limit right-handers to a .148/.220/.253 line across 169 plate appearances last season was as unique as the .336 wOBA he yielded to left-handers. Typically, the LHB vs LHP matchup is decidedly in favor of the pitching side, so the wOBA blip of last season should correct itself with a tweak or two in sequencing. If Strahm can transition successfully to the rotation, the Padres will be in a really good spot when it comes time to assess needs for baseball beyond the trade deadline. There’s not much to be said that already hasn’t been covered when it comes to the right-handed phenom. He’ll make his debut in San Diego at some point in 2019, but the question is when? There’s a legitimate argument to be made that he should take the ball on Opening Day. He’s been the Padres best starter so far this spring and his talent will easily play at the big league level. The reality is he’ll start 2019 in El Paso, at least for the first month or so. After his promotion, he’ll need to be handled properly in terms of workload. Paddack doubled his previous innings total in 2018 and has thrown just 178 in four pro seasons. There’s really no question about his ability, as his fastball/changeup combo is elite and that portends to plenty of missed bats at the MLB level. His current two-pitch mix is good enough to survive as a middle of the rotation arm, but the ability to develop his breaking ball would land him the keys to the vault. He’s a surefire ace with even the slightest hint of an average breaking ball, and if he adds a tick to his fastball along the way, he’s a top 10-15 type of arm. 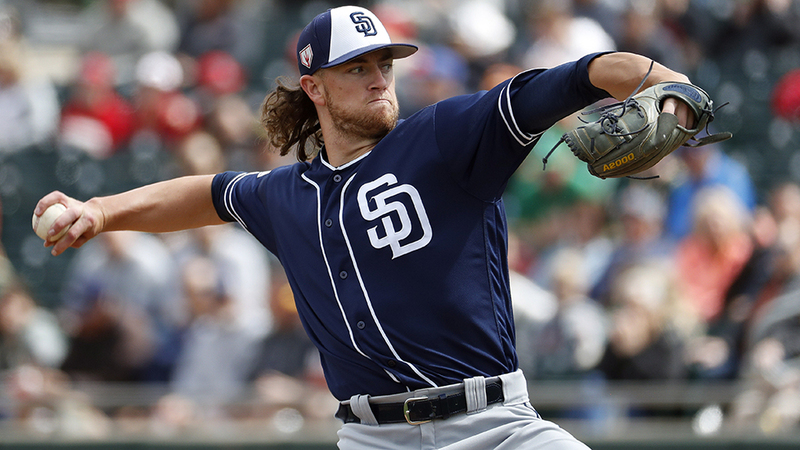 Paddack anchoring the rotation this summer will go a long way in the Padres postseason quest, but it’s imperative that his future isn’t compromised in the process. If this is the blueprint the Padres are working with, it’s hard to see more than 120-130 innings in the plan for 2019. Which, if we’re being honest is a very workable number considering the resources available. Here’s where the fun begins. Both Lauer and Allen are relatively young, playing in their 25 & 22-year-old seasons, respectively, but they possess enough talent to impact how the NL West is decided. When Lauer returned in August last season from a forearm strain, he was a completely different pitcher than his call up in May. He finished strong over his final 25 innings, pitching to a 1.07 ERA, .099 WHIP and he punched 25 tickets during that period. The issue was his incredibly low 8.6 percent swinging-strike rate coupled with his 3.7 BB/9. That obviously needs to change, but the good news is once the pitching help starts to roll in, he might be better suited for a swingman type of role. Lauer can build off his late 2018 success if he works on creating more groundball opportunities. His 32.6% groundball rate was the ninth lowest among pitchers at least 80 innings. The league average groundball rate of 43.3 percent is where he needs to set up shop for a nice run in 2019. Logan Allen was the youngest pitcher to log 100 innings in the Texas League last year, which earned him a promotion to Triple-A where he more than held his own. When he’s at his best, he’s pounding the bottom of the zone with his four-seam that sits 92-94 MPH and mixing in his plus changeup and useful curve to keep hitters off-balance. Also, the development of his slider, which is a key for him to continue to miss bats can hopefully continue to trend upward. It features some unique cutter action and offers some quality depth, which is a nasty combination when it’s on. His durability last year was a plus, as he logged 148 innings across two levels. 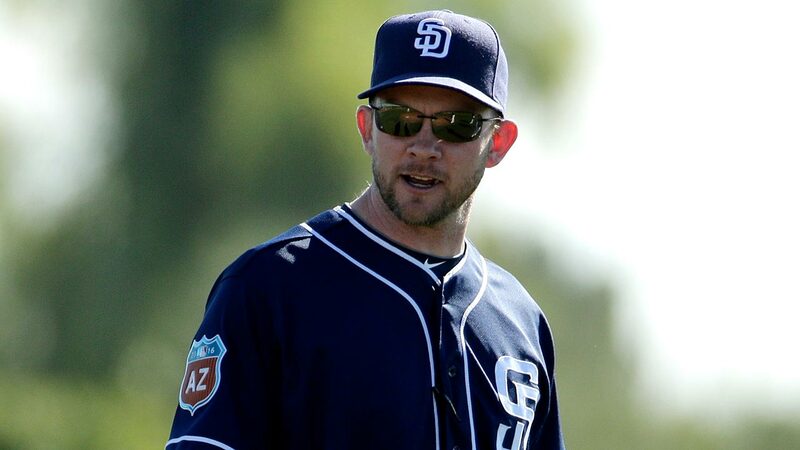 He’ll need to provide that type of workhorse mentality to keep the Padres above water this summer, provided he gets the call sometime in mid to late May. If that happens, Allen has the ability to give the big club 130-140 quality innings, which would be a huge talent boost to the rotation. Jacob Nix has a few key issues he needs to work out to be a trusted part of the 2019 rotation. First, his tendency to get crushed by lefties has to improve. He yielded a .320 average, .978 OPS and .411 wOBA to lefties last year, and on the road, the OPS jumped to 1.183. He was also susceptible to the long ball, as he carried a 1.7 HR/9 in 2018. His ability to generate strikeouts was almost nonexistent, producing a 4.46 K/9. Before you lose faith in Nix, keep in mind 2018 was a small sample at the major league level — tossing only 42.1 innings with the Padres. Also, he’s working on adjusting his breaking pitch a bit, calling it a high-velo curve. The intent, hopefully, is to increase the spin rate on the curveball to develop it into a true swing-and-miss pitch. Nix desperately needs this as his fastball sits in the 91-93 range. You’re right about the offense being terrible last year. However we can expect improvement at 3B (uh, we signed some guy), SS (Tatis), 2B (Urias), 1B (bounce back from Hosmer), RF (full season of Reyes), LF (Myers is better than Renfroe) and maybe even at C (adding Mejia, some improvement from Hedges). That’s better offense from 7 positions. We won’t need to play Myers in CF to be a better offensive team. Add in the injury risk to Myers is much greater in CF. You had me until you got to the OF, and then you went completely off the rails. You ding Margot for a .300 OBP, but that’s higher than Renfroe’s. You think Myers can handle CF, neglecting to mention that was tried in 2015 and abandoned due to the horror of it all. Margot is all of 24, a quality defender and still with potential, better to stick with him for another year. Renfroe is 27, so he most likely is what he is, and what he is a one-trick pony. Power and not much value in any other aspect of the game. Plus he was already demoted once for essentially being uncoachable. Any edge gained by batting Myers instead of Margot will be given right back on defense. Remember the parks we play most of our games in. SD, LAD, SF, COL, ARI. All pitchers parks with big OFs. It makes more sense to play Margot in CF and Myers in LF and Renfroe in AAA. And with a young staff, go with the best CFer and give up a bit of offense. I see your point of giving up offense for a better CF, which Margot is defensively, but this team can’t afford to give up runs. In fact they don’t have any to give. They finished 12th & 13th respectively in the NL in HRs & wRC+ last season. As far as Myers, they gave him 38 games in 2015, which he battled a wrist injury and eventually had surgery. He’s arguably the best athlete on the team, he needs to play. Renfroe’s one trick is power – 26 HR in 441 PA’s, that will play. I’ll take that trick any day and remember, he’s heading into just his 3rd full year, so that age 27 thing doesn’t really apply. There’s adjustments to be made. I’m all for Margot taking the spot if he can earn it. His thing is speed, he needs to learn to use it at the major league level. He’s been thrown out 36% of the time on steal attempts. Maybe he can find some pop along the way as well.